In a small saucepan, combine sugar, corn syrup, water, and candied ginger. Bring to boiling; reduce heat. Simmer, uncovered, for 10 minutes. Remove from heat. Stir in vodka; cool to room temperature. Cover and chill for 4 hours or overnight. Strain the vodka mixture to remove the candied ginger; discard ginger. Pour vodka mixture into a large bowl. Slowly pour the champagne down side of bowl; stir gently with an up-and-down motion to mix. 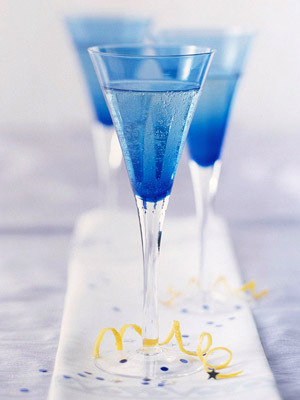 To serve, ladle punch mixture into champagne glasses or punch cups. Serve immediately.